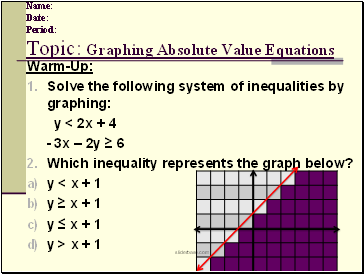 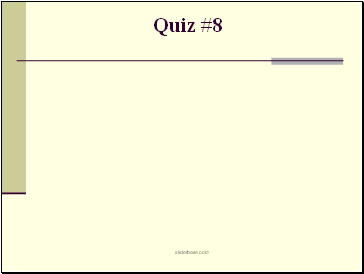 Which inequality represents the graph below? 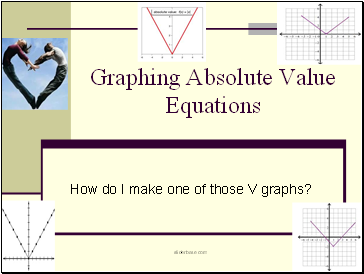 How do I make one of those V graphs? 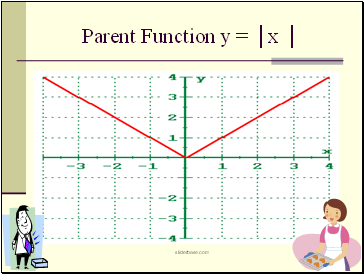 Translation: shifts the parent function graph horizontally and vertically. 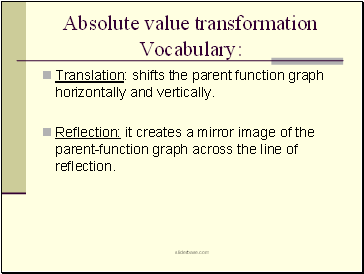 Reflection: it creates a mirror image of the parent-function graph across the line of reflection. 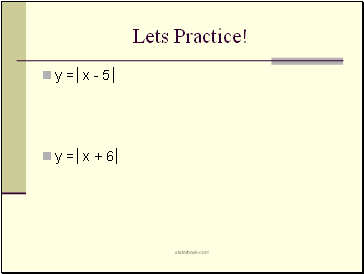 If you have minus outside the absolute value, you move down on the coordinate plane. 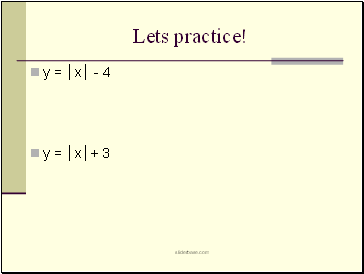 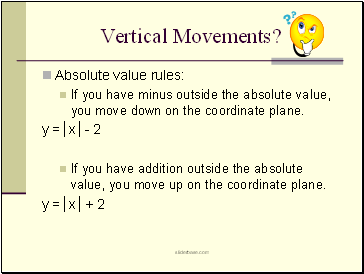 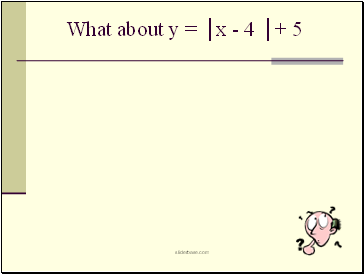 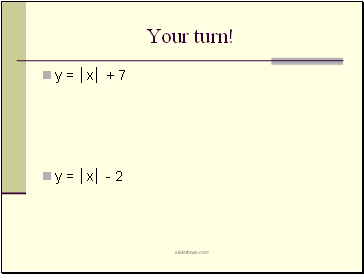 If you have addition outside the absolute value, you move up on the coordinate plane. If you have minus inside the absolute value, you move to the right on the coordinate plane. 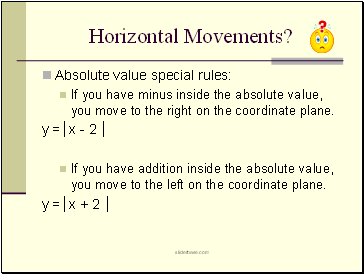 If you have addition inside the absolute value, you move to the left on the coordinate plane.